Beach Winery is proud to bring to its over 4,000 satisfied customers the quality product produced by Winexperts. 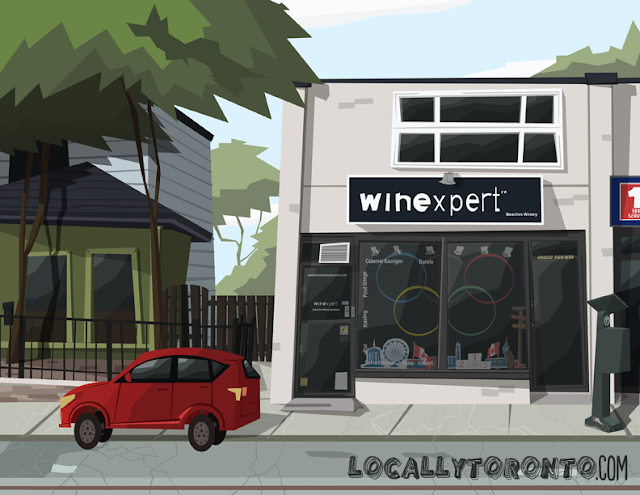 Winexperts is a division of Global Vintners which in turns is part of the Peller Estates Group. The bottom line of this is that their experts search the world for the best vineyards to buy the grapes from to produce the juices to ferment. They also test and produce the best yeasts and formulas for each type of grape chosen. TUESDAY Thru FRIDAY: 10 a.m to 6 p.m.
this guy dave is a fkn rip off he upsells you without your approval... he shruggs his shoulders after he rushesyour credit card he is a bad busniness person. Hi, I'm sorry this blog probably isn't the best place for your comments. If you have an issue with the Beach Winery I would suggest talking directly through their website or by email / phone. Locally Toronto is just to showcase illustrations of various stores across Toronto.